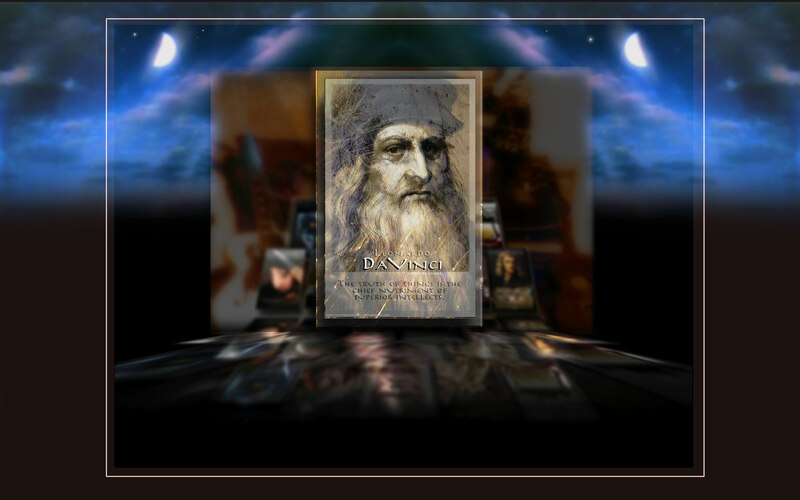 An amazing unexpected image of DaVinci immerged as I began collecting portraits in photoshop... I was searching through a few when I superimposed a youthful portrait of Leonardo over another of him as an old man ... I adjusted the layers over each other to match size... I was astonished to see shining through... a middle aged Leonardo staring right back at me- It was an amazing moment of mystic cool connection! ...He's been a hero of mine since I was a kid and saw a PBS doc about his life. Astounding really... I didn't know that if you combine images of youth and age you get ...middle aged! Makes sense- but seems odd. There were other subtle changes that finessed their inclusion until it felt as if Leonardo might be right there beaming out of the portrait. It's beautiful when 'presence' says hello.